The Maldives are one of the most romantic destinations in the world. Lagoons of crystal clear waters effortlessly lap onto pure white sands. The reef structure protects the pearl string like islands providing a home to some the most exclusive and spectacular underwater worlds. There is so much to love about the Maldives. 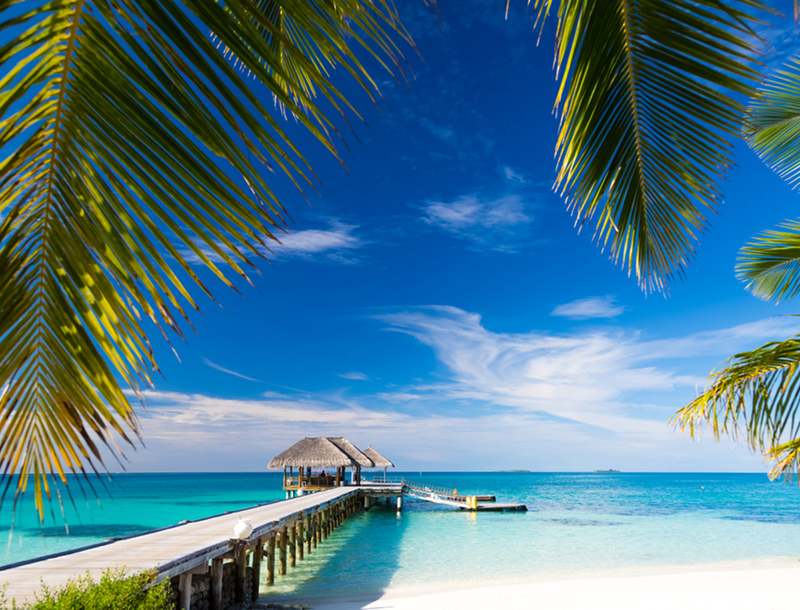 From the friendly locals to the warm waters of the Indian Ocean, from the perfect weather to the luxurious resorts, there are very few destinations that compare to the Maldives. Check out the Malé Friday Mosque also known as the Old Friday Mosque. Made with coral stones this is the oldest mosque in the Malidves dating back to 1656. The National Museum of the Maldives dates back to November 1952. Here you will find antiquities from Maldives’ Buddhist era through the Islamic monarchs. An inhabited island by the name of Maafushi can be found in the Kaafu Atoll. This island is a thriving local economy where more than sixty families benefit directly from fishing and tourism. If you are looking to support this community then opt for accommodation at one of the 55 guest houses in Maafushi. These guest houses are mostly funded by island residents rather than offshore investors. You are supporting direct employment as well as providing other indirect economic benefits to almost every family on the island. If you decide to stay at a resort elsewhere, drop in to Maafushi for some souvenir shopping which will also support the local economy. It is common knowledge that the Maldives is a prime destination for Scuba Diving and snorkeling. Did you know it’s also a world-class surfing destination? Surfers come from far and wide between mid-February to November. They face the awesome Cinnamon Dhonveli which is actually a stop on the pro circuit. If that isn’t quite where your skill level is at, then check out some of the other islands which offer surfing lessons for beginners. A popular activity is simply fishing with a baited handline from the side of a dhoni (multi-purpose sail boat). Commonly known as “Night Fishing”, this usually takes place in the evening. Guests can have their catch cooked by the in-house chef. Many of the resorts also offer deep sea or big game fishing. Fishing is year-round for sailfish, blue and black marlin, yellow-fin tuna, barracuda, dogfish tuna, wahoo, jackfish, and a variety of sharks and dorado. (Sailfish and blue marlin are tagged and released). Enjoy paradise. Whilst you can keep yourself busy with water activities and sightseeing, learning new skills or engaging with local community, remember you are in Paradise. Be sure to take the time to sit back and relax. For the ultimate in relaxation, most resorts offer a private deck to swim from and sunbathe on. It’s also a popular spot from which to enjoy a candlelit dinner for two at sunset. With 110 top quality spas located within the many island resorts as well as some spas in Male, there is no shortage of opportunities to relax and rejuvenate mind, body and spirit. You can even find one at the public terminal of the Ibrahim Nasir International Airport. No matter what you decide to do with your time in the Maldives, there is one thing guaranteed… you will fall in love and will most likely be planning your return trip before you’ve even left this heaven on earth!